Hi Mama's!!! It's Becca here from RP Nutrition and I've got another delicious recipe for you! It's pancake day and the day before valentines! 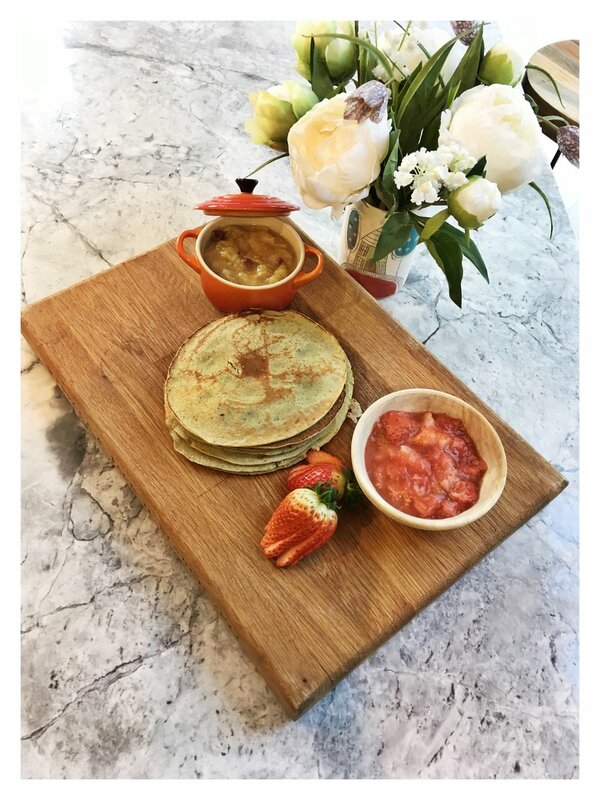 Instead of the next couple of days turning into a sugar bonanza I have made these pancakes that are a healthy alternative packed with goodness and super tasty. We have a lot of pancakes in our house and I think they are great for kid’s lunchboxes too. My son went through a fussy stage when he was 2, which is common if we think of evolutionary times, that is when they would start to forage for their own food and hence they become pickier. I used a lot of pancakes with vegetables added to the base ingredients to make sure he still ate vegetables with each meal. This gets them into the flavours and they can be introduced in different forms at a later date. I have added some flaxseeds with the flour for added benefit as they are a source of omega 3’s which are anti-inflammatory but great for hormonal health. I see a lot of cases of Polycystic Ovary Syndrome, Endometriosis and menopause in my clinic so I regularly get clients to add these to their diet. Anyway, have a try and check out my Strawberry Compote to go with them as the perfect natural sweetener. You confined the recipe here. 3. Add the pancake mixture and cook for a couple of minutes each side or until they have a firm, pancake consistency. 4. Serve hot or cold if on the run. 5. Here I served with a strawberry compote or stewed apples.